Summary: A reputable food manufacturer in Melbourne found that their food processing chain had become contaminated due to dirty fan coil units. This almost caused the loss of a major retail customer. In 2014, when it was discovered that contamination was affecting their food processing chain, a Melbourne food manufacturer was at risk of losing a major contract with a national retailer. “All of a sudden, the company’s products were being rejected by the retailer and being sent back from the stores,” says Coolclean Managing Director, Darren Driscoll. In a further development, the company was then warned by the retailer that their entire product range could be removed from every store in Australia. It was clear that the company’s income and reputation was dependnt on the cause of contamination being found. At this point, bacterial swab testing began on the manufacturer’s entire food production area. This included walls, ceilings, benches, cooling units and food processing equipment. The fan coil units tested positive for biological contamination. This confirmed that the contamination in their food product lines could be attributed to the fan coil units. Unless the hazard was rectified immediately, the manufacturer could lose its supplier status with this retailer. 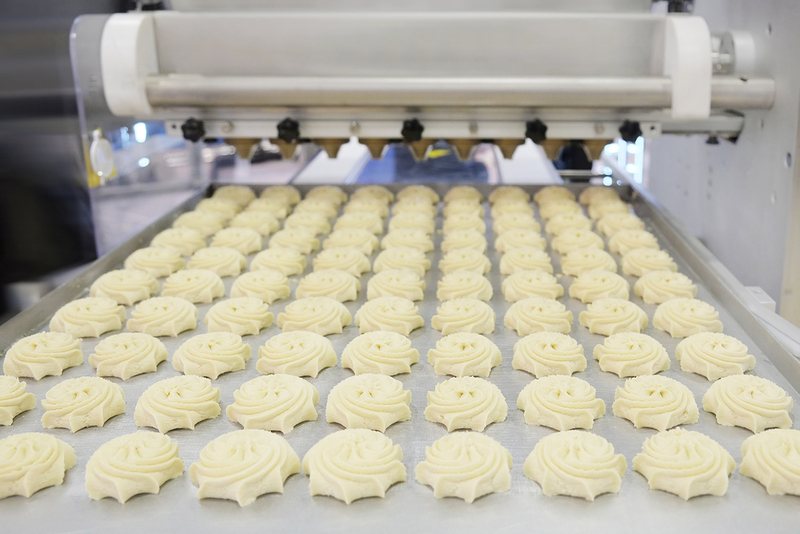 “Following the positive swab test on their fan coil units, the food manufacturer contacted us for advice,” says Darren. At this point, Coolclean was brought in to thoroughly inspect the units, arriving to discover bacteria growth in fan coil units that were visibly dirty. A cleaning and sanitisation procedure was quickly implemented for 30 fan coil units in the food production areas and cool rooms. It was necessary to correctly clean and sanitise each of the cool room fans and coil units. A regular cleaning program was then put in place by Coolclean. This included anti-microbial biocide surface cleaner and treatment, coil cleaner and treatment, and pan protection – a natural enzyme solution. “Everyone wants to restrict the use of chemicals in food-related areas,” remarks Darren. Coolclean uses a food-safe biocide that is environmentally friendly, pH neutral, non-corrosive and fully bio degradable. Coolclean’s quick response and an effective cleaning protocol has played an important part in helping to protect the manufacturer’s reputation. “Over the course of the last two years, our service team have been cleaning and treating each of the manufacturer’s fan coil units on a regular basis, using the anti-microbial biocide cleaning and sanitisation treatment,” says Darren. During this time, no remedial action has been required, because authorities have not found any instance of a high bacteria plate count. Nor have any non-conformance issues been raised during audits. The customer is pleased with the solution that Coolclean has put in place. “While this approach was reactionary by nature, of course the best remedy to reduce the threat of bacterial infestation, is to have a regular program of cleaning/treatment of evaporator coils in food related areas,” says Darren. Other benefits of correctly maintaining cooling units include energy savings and mould control. Over time, evaporator coils dramatically deteriorate in performance, increasing electricity costs, as well as spreading mould throughout the room and staining walls and ceilings. Systems that have been cleaned and protected correctly can achieve significant energy savings. “According to the US Department of Energy, a non-cleaned unit can use up to 50% more energy over a 5 year period,” says Darren. “Performance gains are also achieved because correct airflow restores cooling capacity, while at the same time mould and bacteria are safely controlled,” adds Darren. Coolclean provides a fully traceable service for audit purposes. This includes a comprehensive report for each cooling unit and each room, together with photographic evidence. A Coolclean service sticker is also affixed to each unit. This example helps to demonstrate Coolclean’s effective protocol to achieve cooling system hygiene, energy efficiency, performance gains and mould control.